Regular Meetings: Regular Corvette Club meetings will be held on the second Sunday of each month. Should the date be a holiday or the meeting place unavailable, an alternate date will be set and the membership notified. Monthly reports will be given by the Officers and minutes of each meeting will be kept. 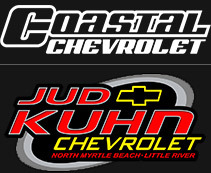 Founding Members: Founding Myrtle Beach Corvette Club Members meetings may be called by any Founding Member. There must be a majority of Founding Members present in order to conduct business. Any member may attend this meeting, but may not participate. Notice: Notice of any meeting, except Regular Meetings, shall be given a least two (2) days prior notice, via email or regular mail. The meeting purpose shall be included in the notice. A Founding Member and or Board of Directors meeting shall consist of a majority of the entire Board of Directors. Participation may be in person or by means of conference telephone or similar communications equipment allowing all persons participating in the meeting to hear each other at the same time. Quorum: A Quorum shall consist of a majority of the membership present. They must be in good standing.